Providing consistent chest compressions when administering CPR can be difficult and tiring and, in certain situations, impossible. 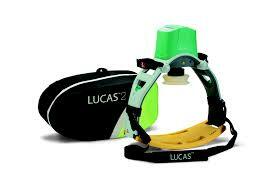 The LUCAS system provides automatic chest compressions on cardiac arrest patients and increases the chances of good patient outcomes. "This grant will allow us to enhance patient care and improve firefighter safety at the same time," said Fire Chief Steve Parkers. "While the LUCAS units will provide consistent and uninterrupted chest compressions, the chances of patient survival increase dramatically while, at the same time, firefighter/paramedics are able to have more hands on other duties to maximize good outcomes. "Our deepest thanks to the Metrocrest Hospital Authority for this very generous grant that will, in fact, save lives."